Posting is not available from 3rd July 2012 till 15th July 2012. Sorry for inconveniences. 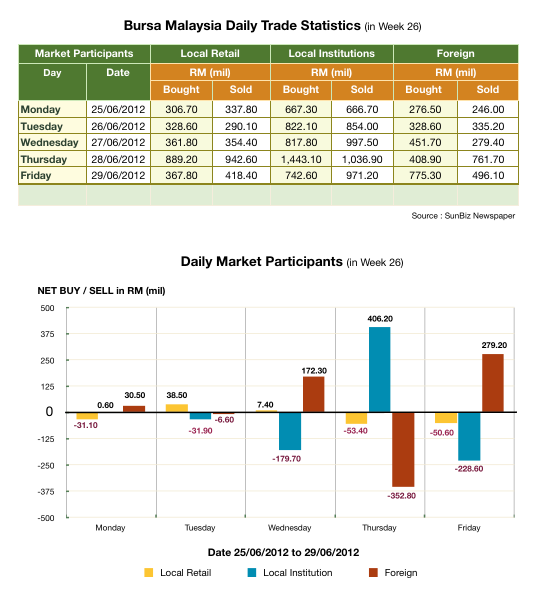 If you are looking for the Bursa Malaysia Trade Statistics data, you can log in to The Sun Daily website. Download the E-paper and browse the SunBiz corner. 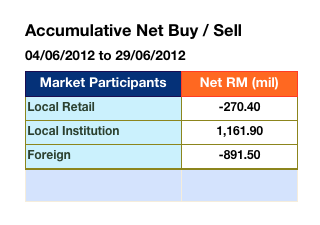 This blog is posting information about Market Participants in Bursa Malaysia. 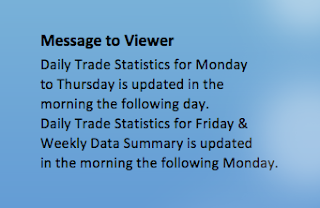 The information in the Trade Statistics is from local newspapers, reprocess and represented here. 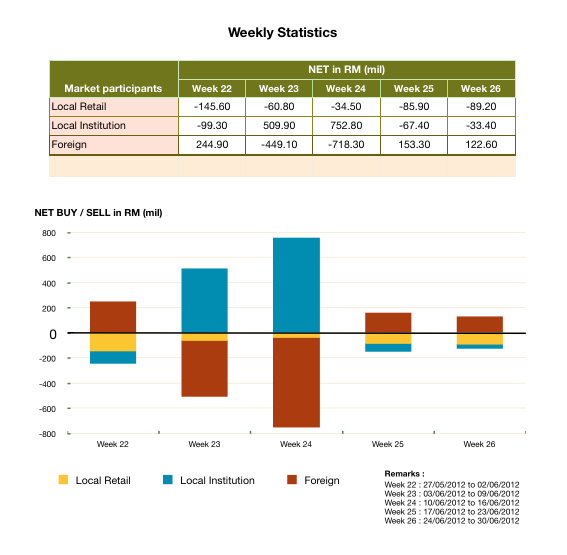 I am a beginner in Share Trading and this is the soft launched of my blog. Thank you for visiting.